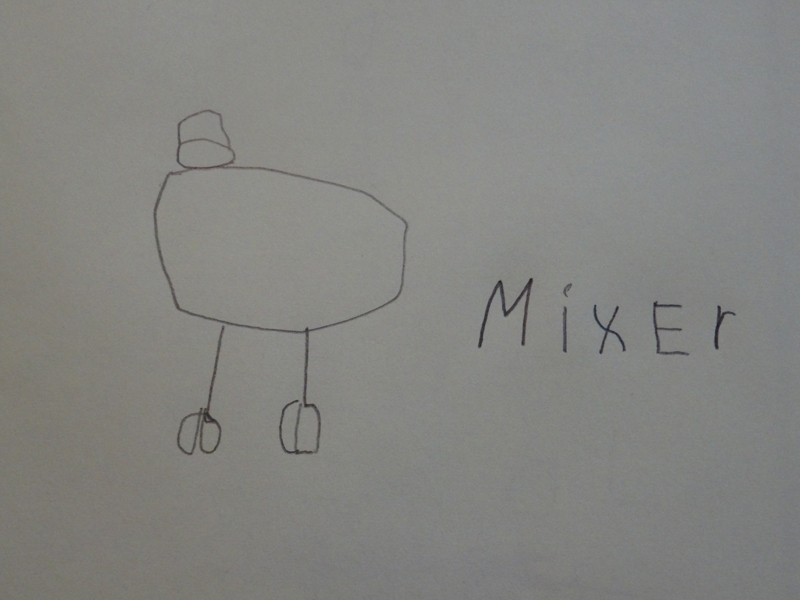 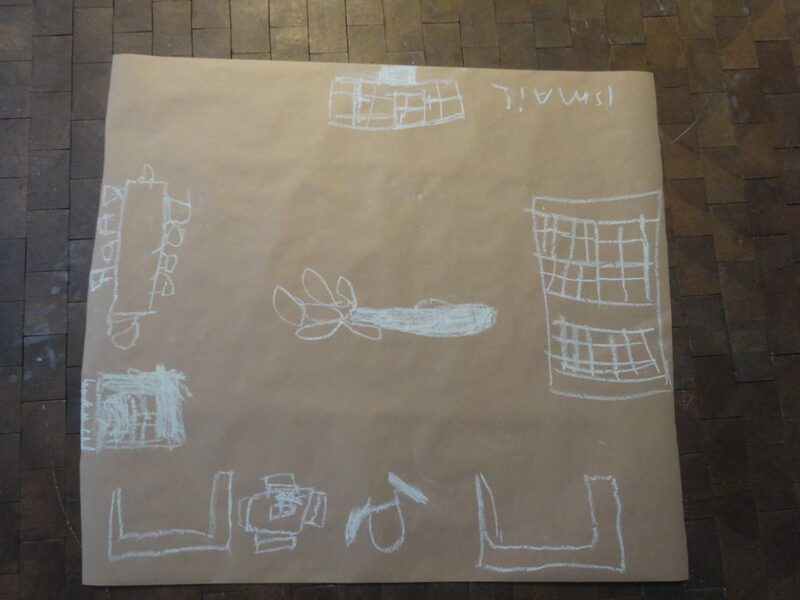 On Monday the kids drew floor plans of the rooms they sleep in. 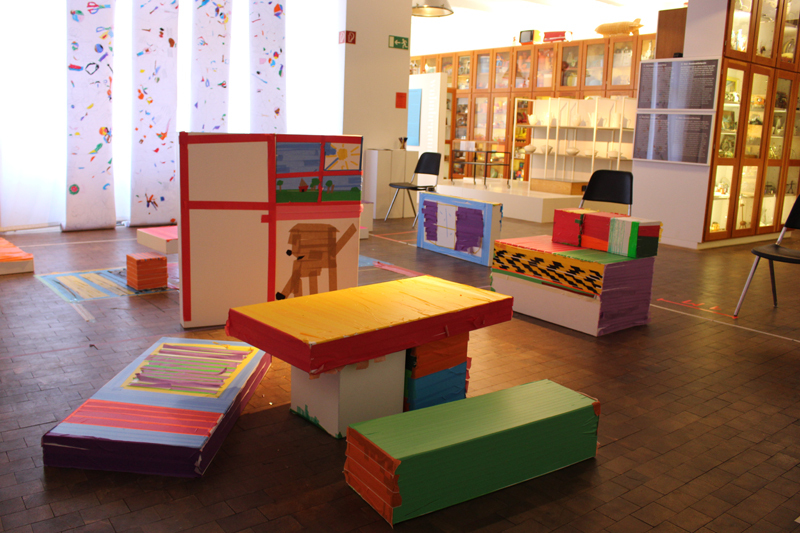 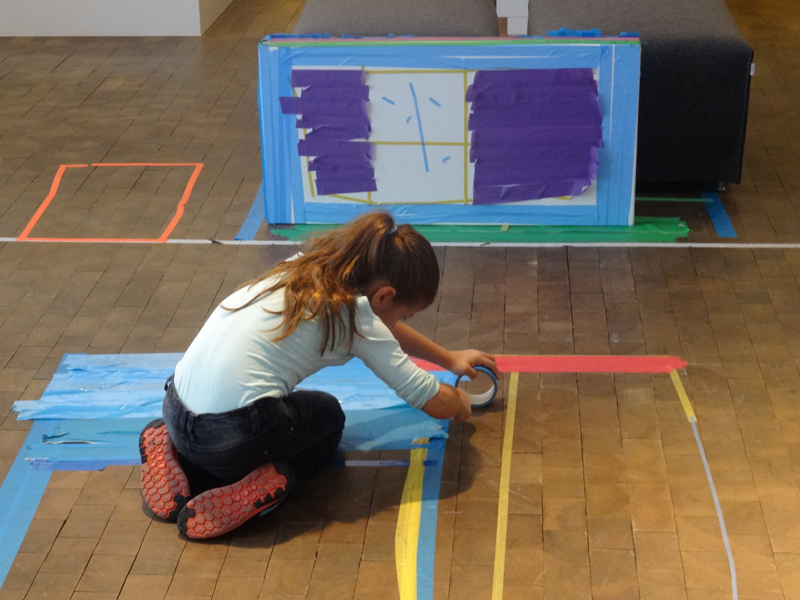 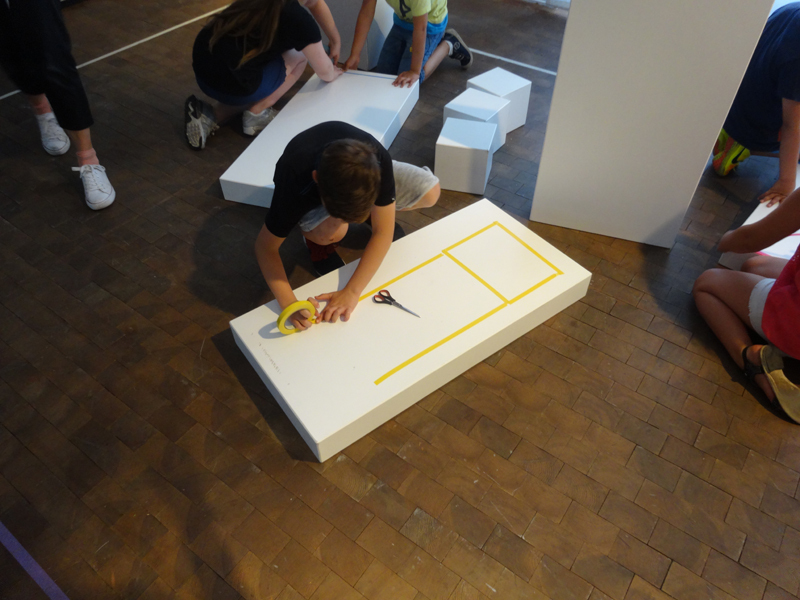 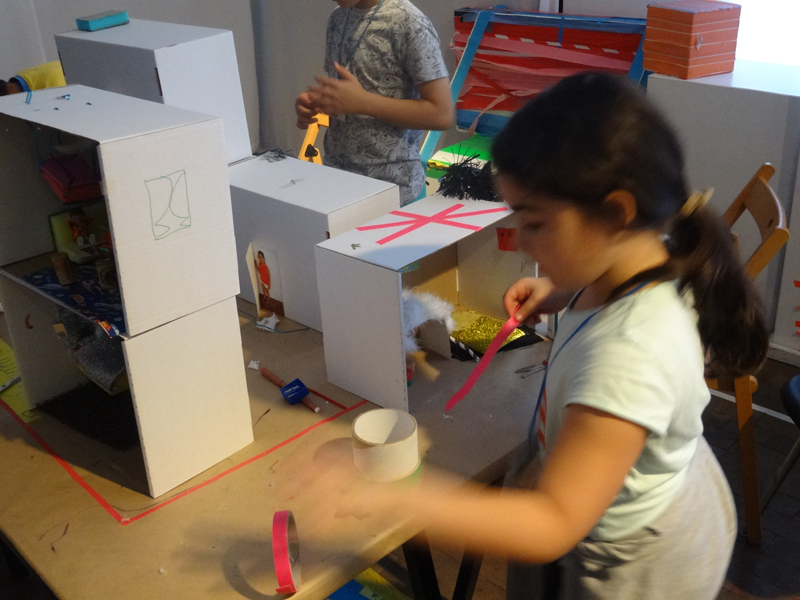 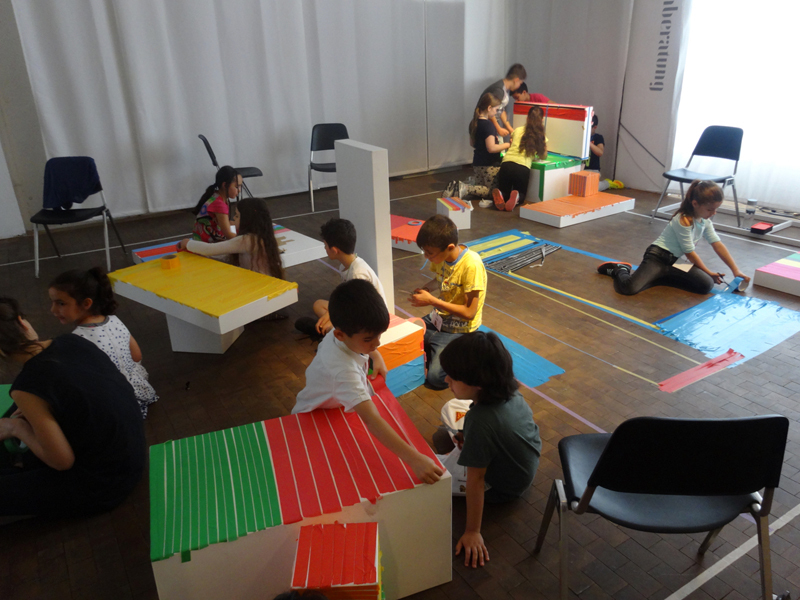 They also started to build their own room in the museum with our big building cubes. 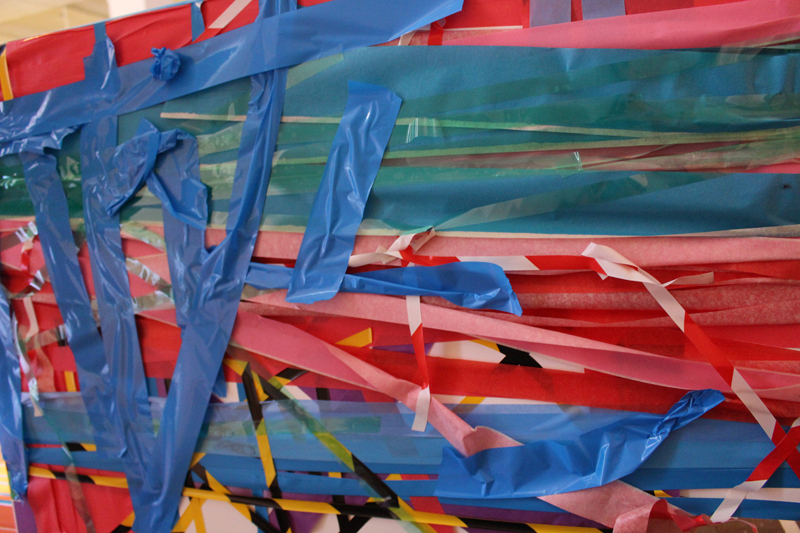 Then they discovered the coloured tapes. 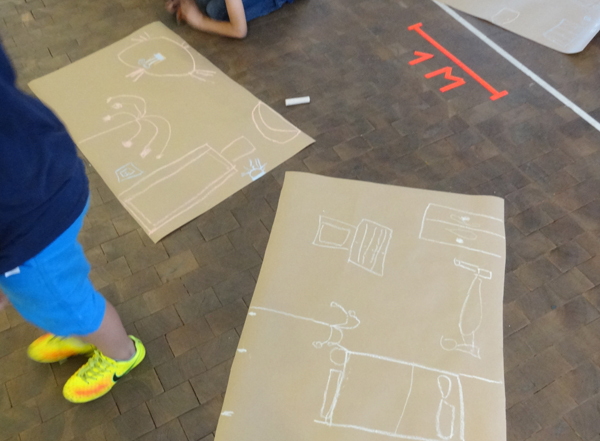 On Tuesday, the students looked at the stuff we live with. 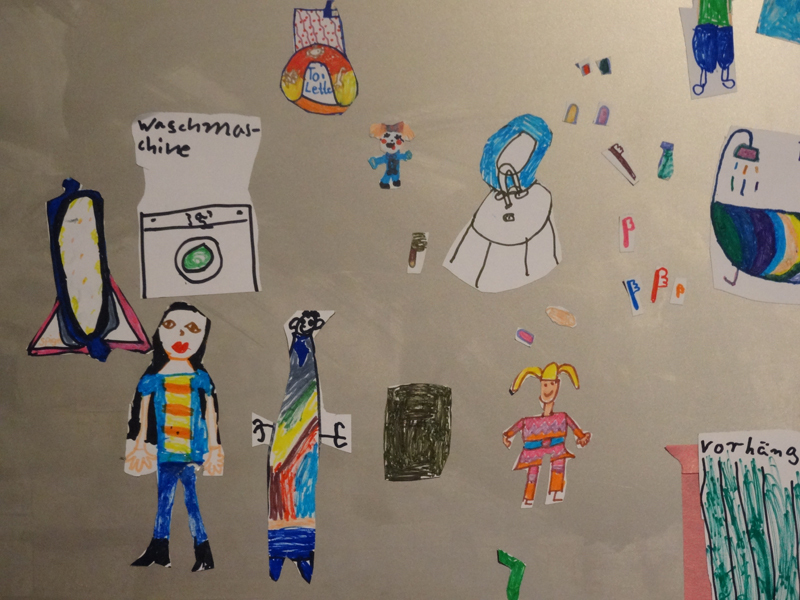 including the most important items in a home – the people that live there! 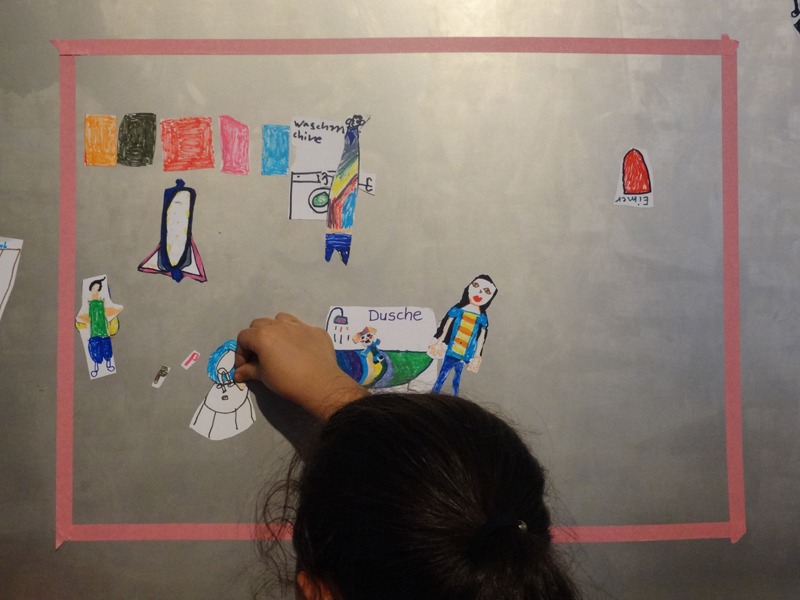 Then they let them wander around their rooms on our magnetic board. 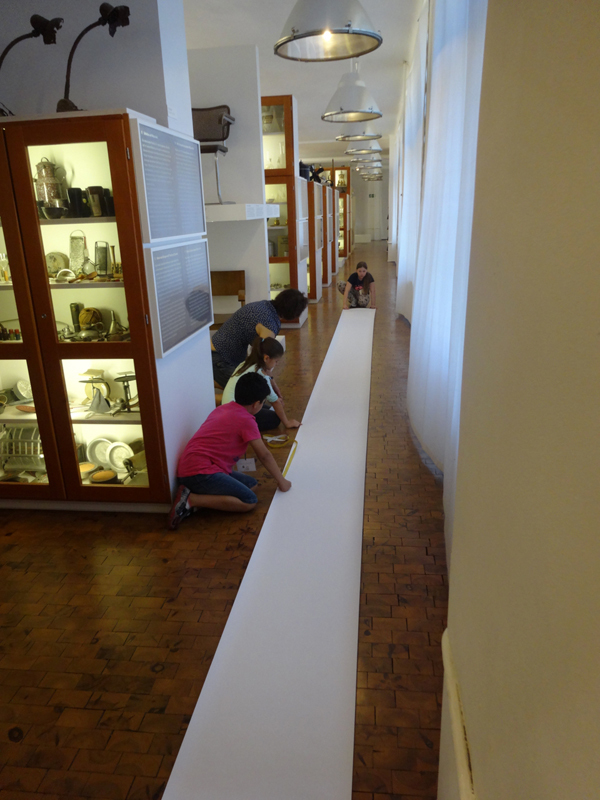 On Wednesday the kids produced 20 metres of wallpaper! 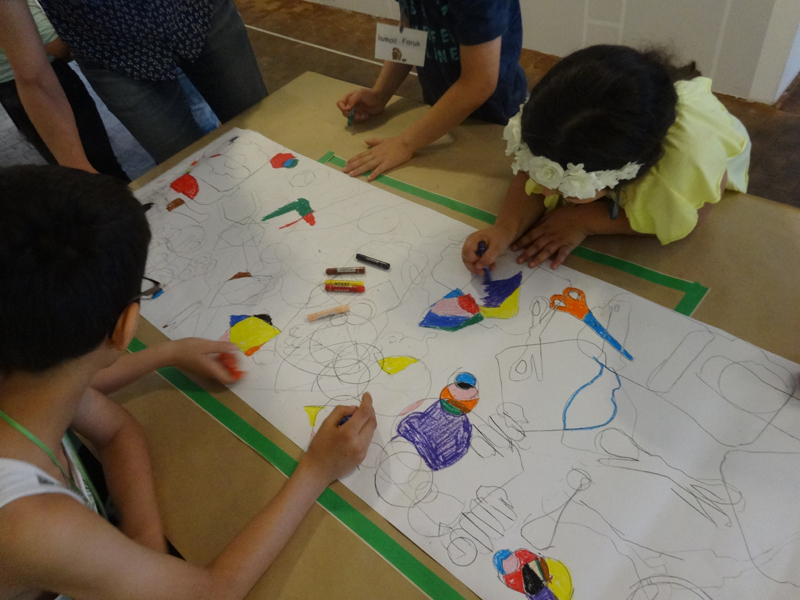 Then they coloured in the overlapping areas, creating abstract patterns. 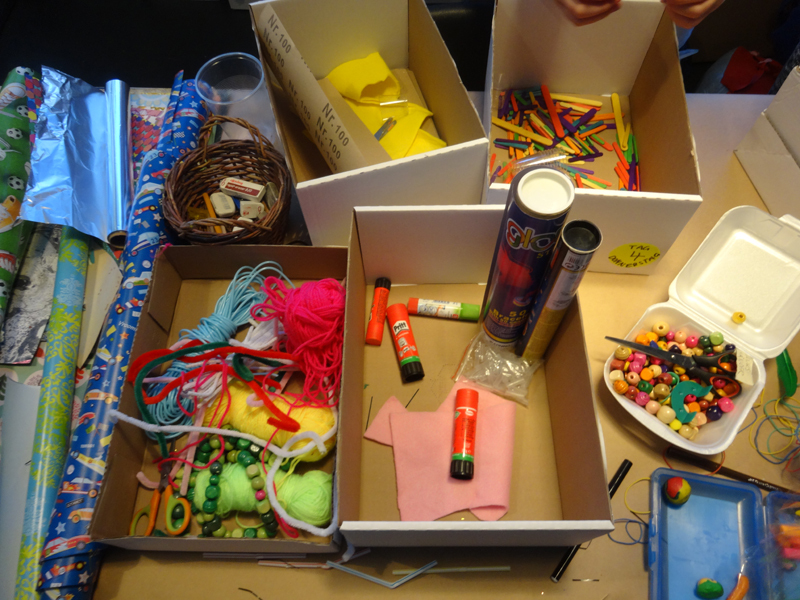 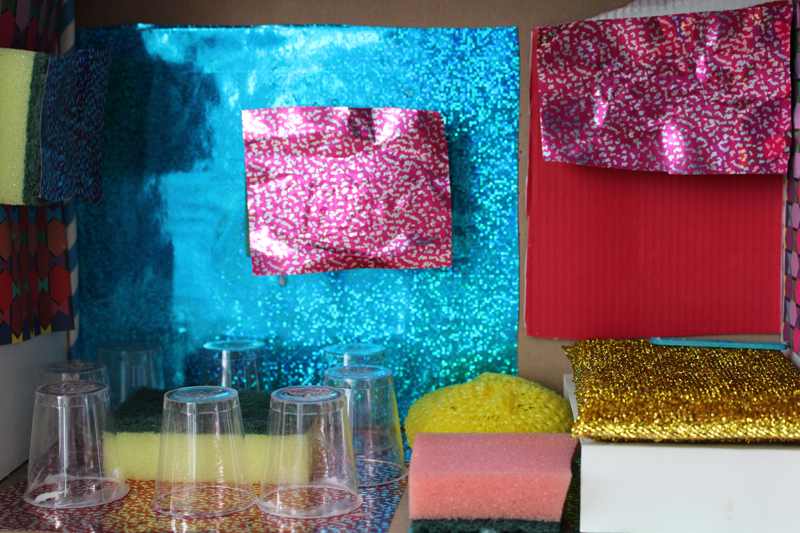 … with lots of materials. 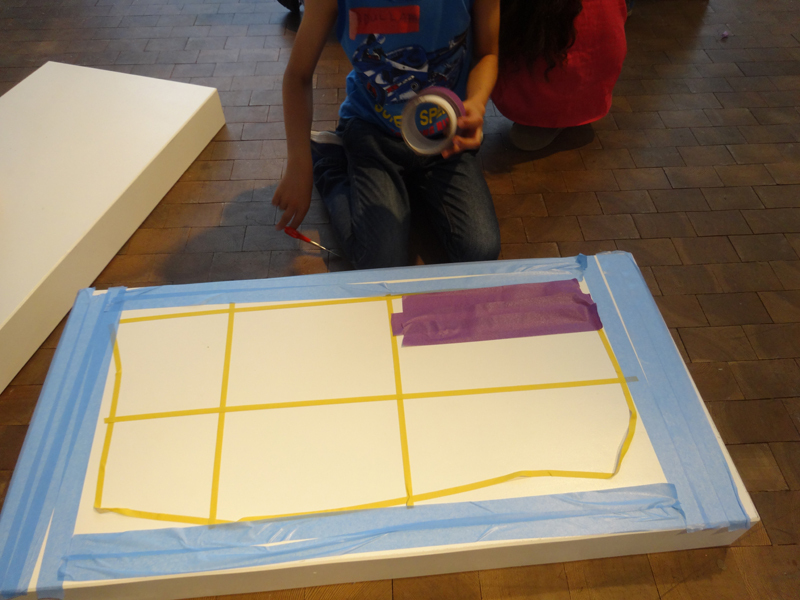 On Friday they invited their families to show all their hard work. 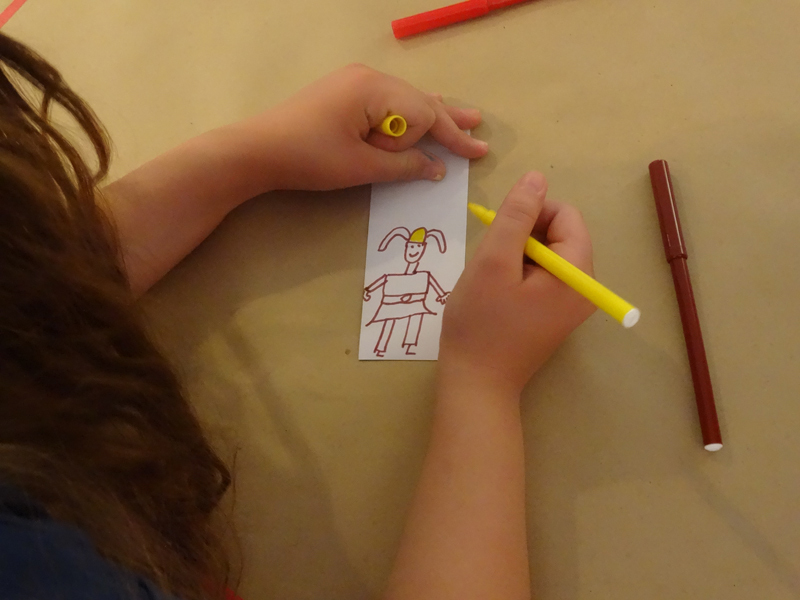 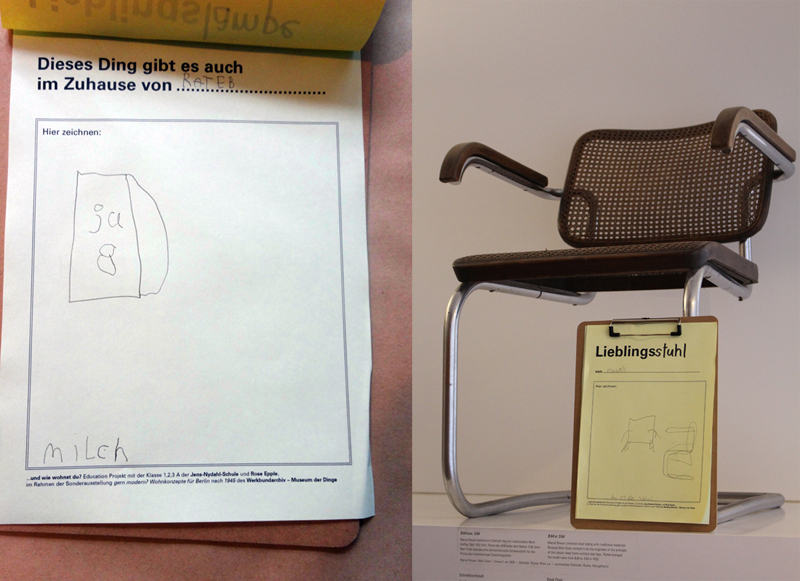 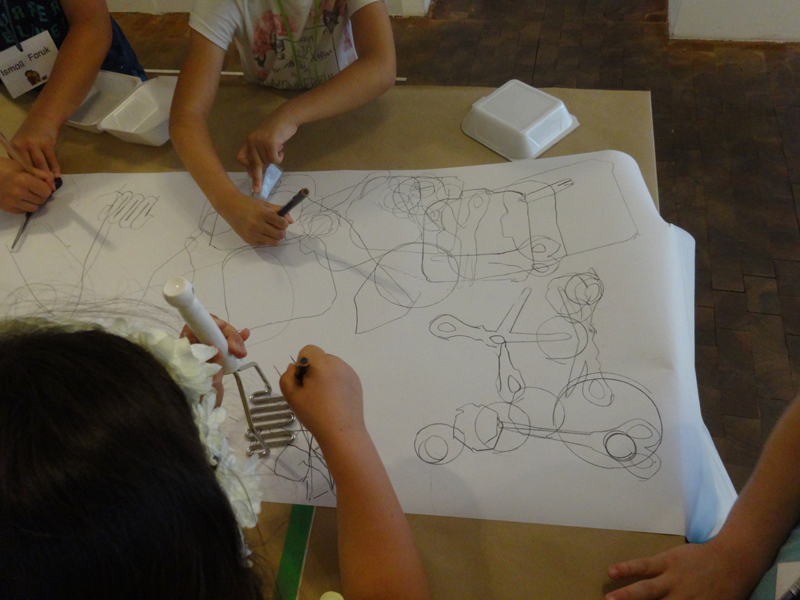 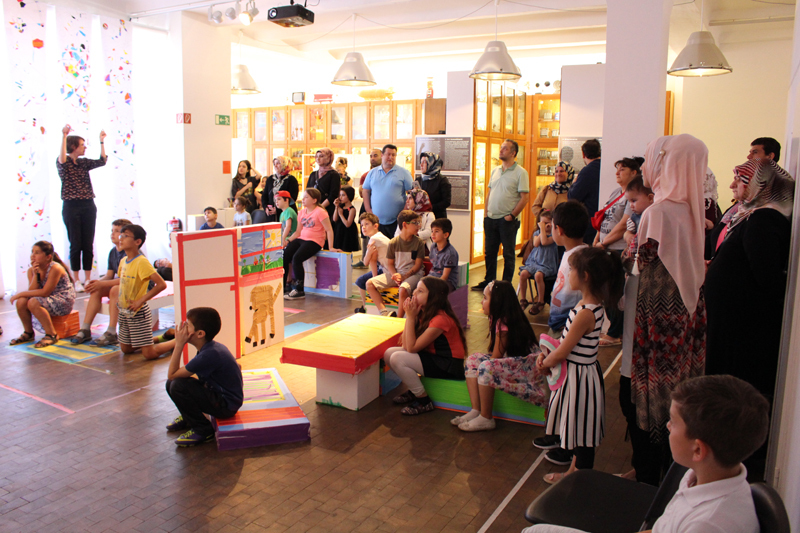 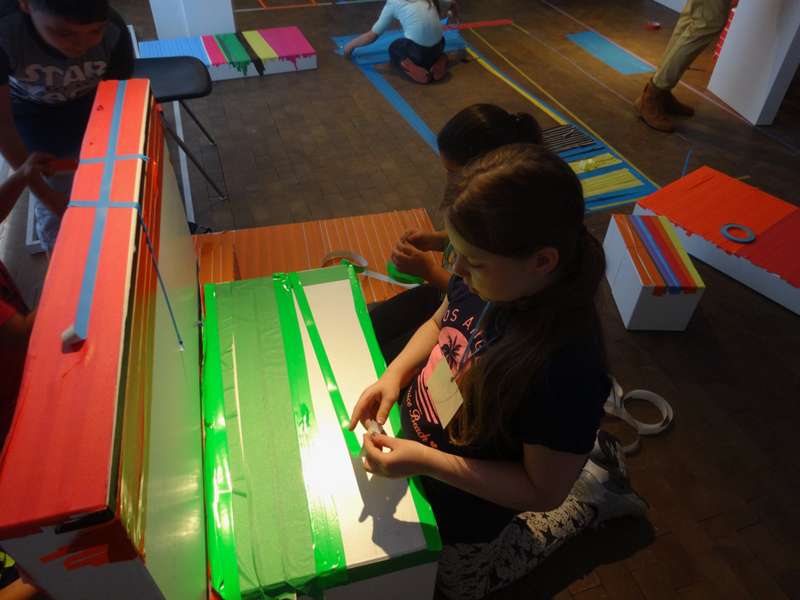 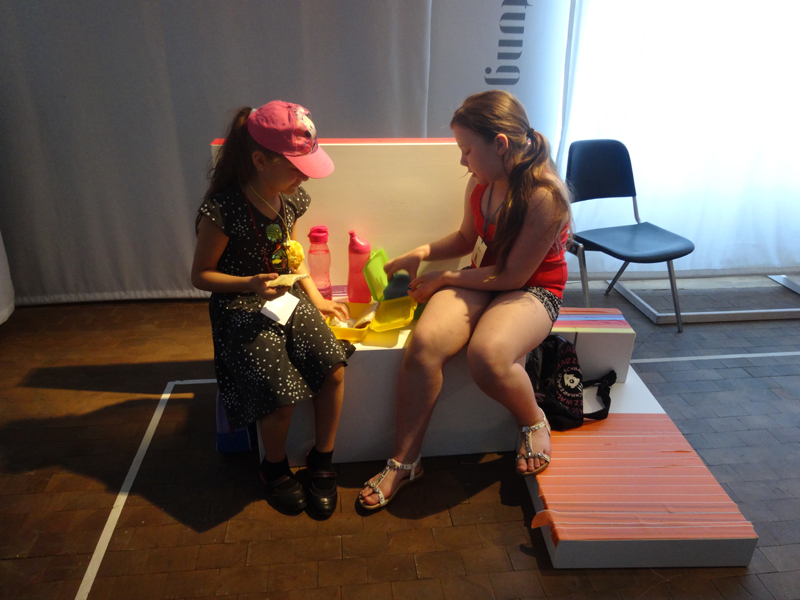 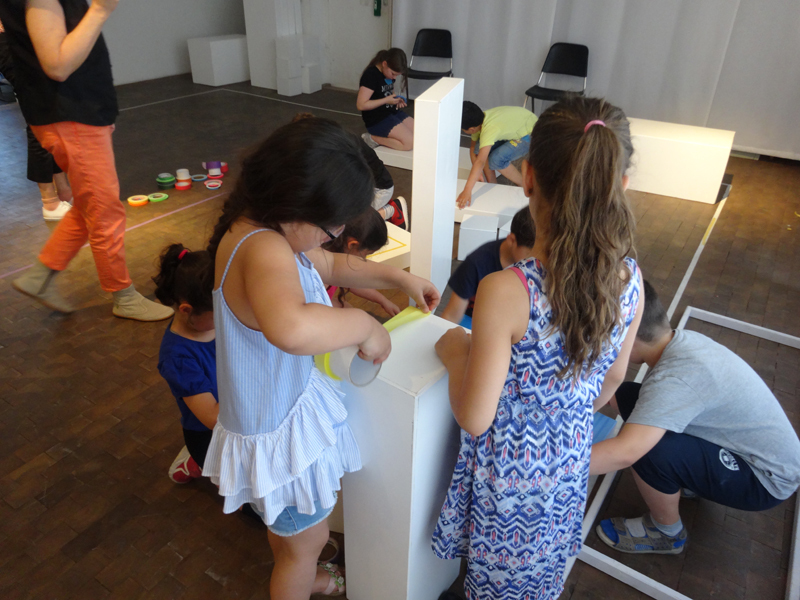 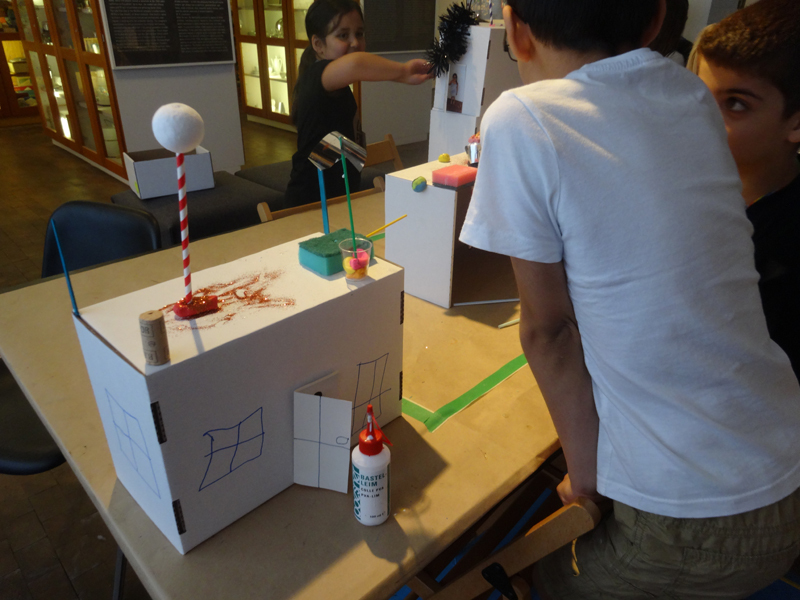 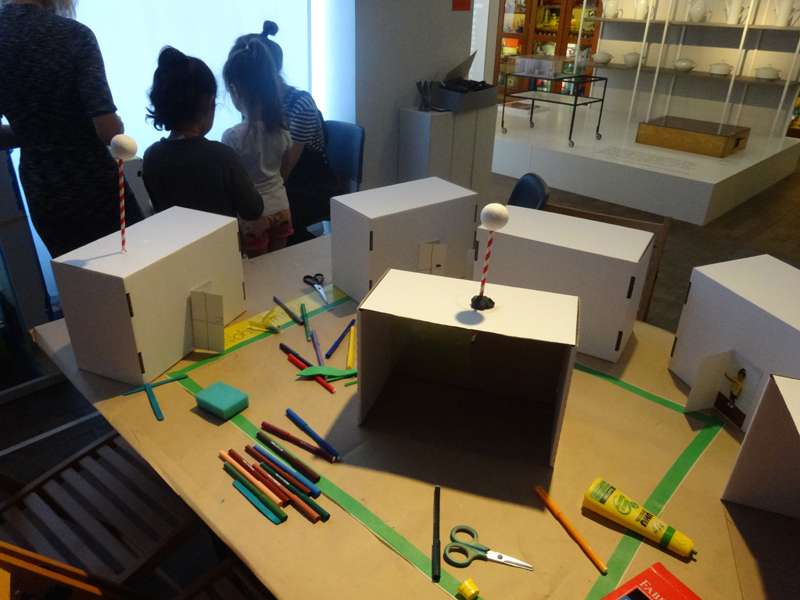 To see more of the many educational activities that accompanied the exhibition gern modern? 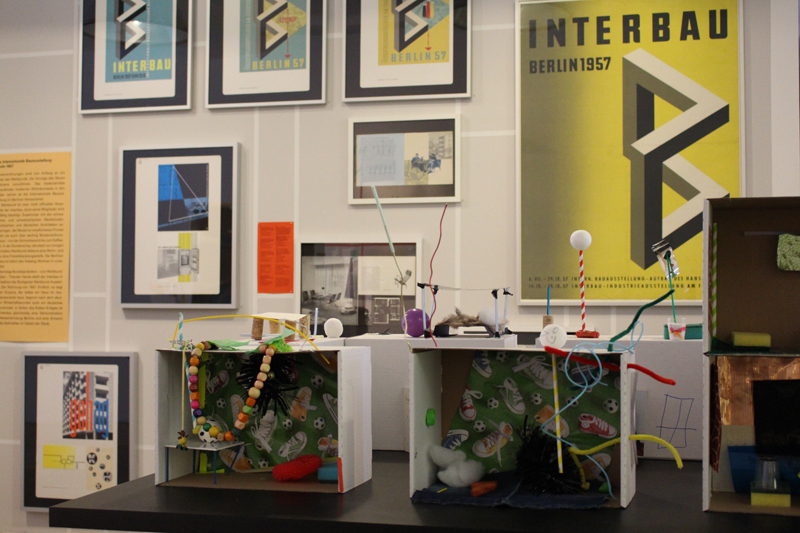 New living concepts for Berlin after 1945 in the Werkbund Archiv – Museum of Things, go to our exhibition tumblr. 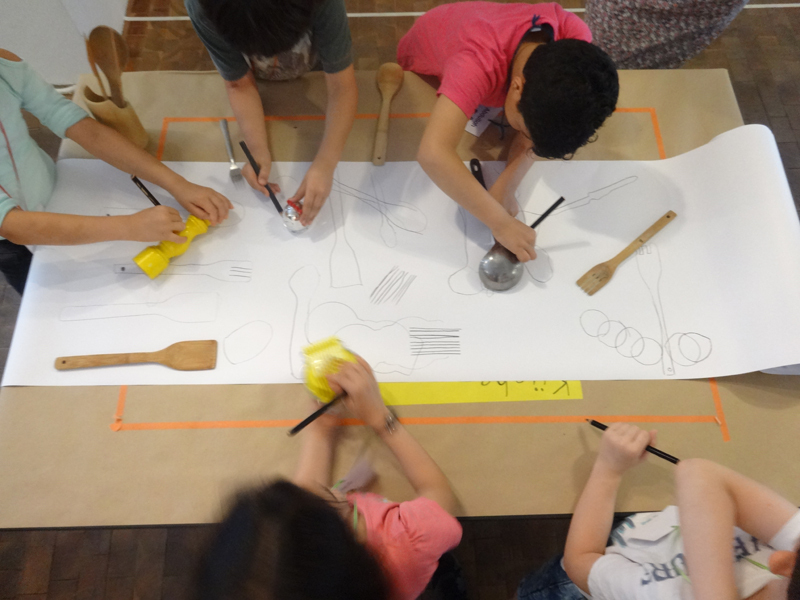 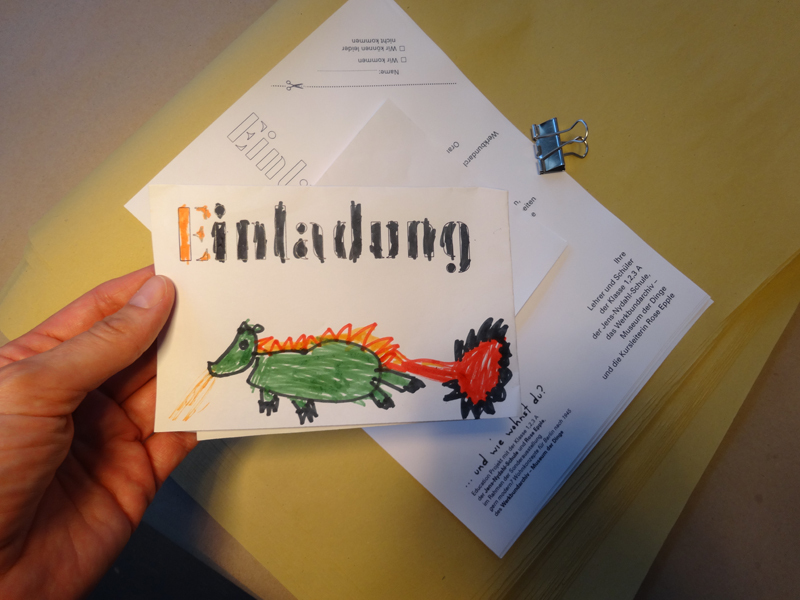 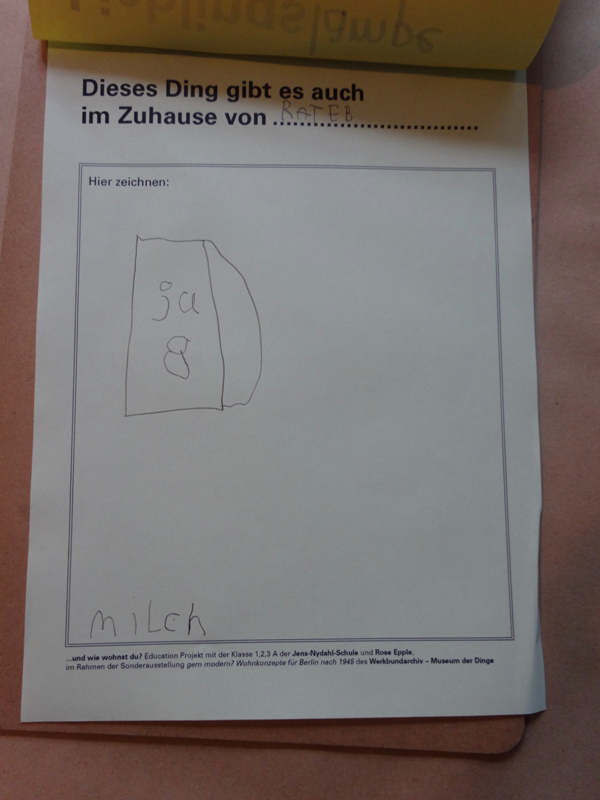 A big thank you to guest curator Nicola von Albrecht, the whole team of the museum and intern Hannah Seifert for their fantastic support and to the lovely students and teachers of class 1,2,3 A of the Jens-Nydahl Primary School in Berlin Kreuzberg for bringing such enthusiasm to the project. 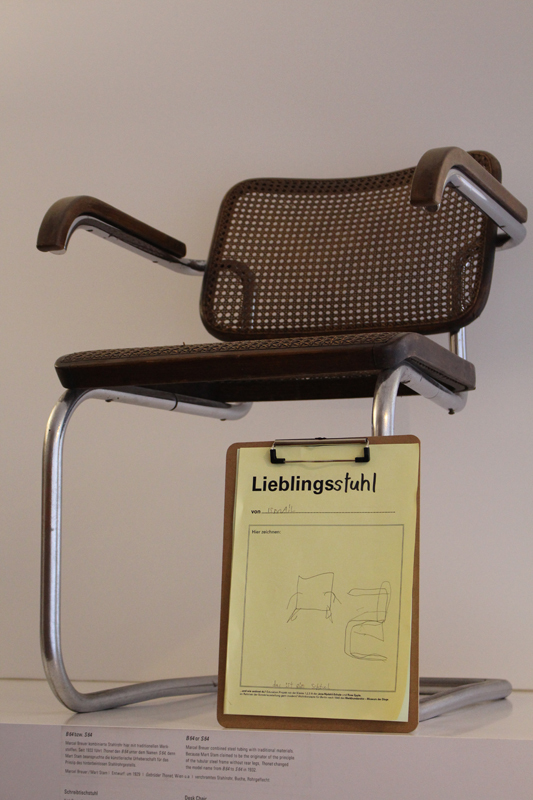 ← Would you like it modern?